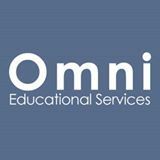 Omni Educational Services is a college consulting and tutoring firm located in the East Bay, and serving the entire San Francisco Bay Area. Are you or your son/daughter in need of college application help? Are you unsure of how to optimize your application to give yourself the best chance for college acceptance? Omni Educational Services can help your family with these very important challenges. Omni Educational Services has a long history of results helping students both select the best colleges to serve their interests, and to gain acceptance to these schools. If you would like to learn more about targeting the best colleges for your situation, and the giving yourself the best chance at acceptance, Omni Educational Services can help.